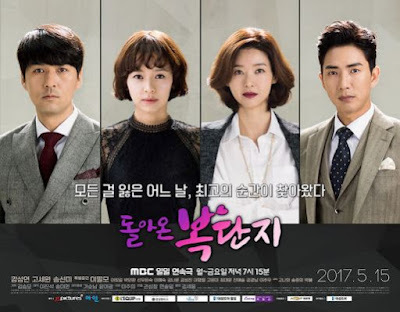 Return of Bok Dan Ji (Hangul: 돌아온 복단지; RR: Dolaon Bokdanji; A.k.a: I Love You Dan Ji) is a South Korean television series starring Kang Sung Yun, Go Se Won, Song Sun Mi, and Lee Pil Mo. The drama airs on MBC every Monday-Friday at 19:15 (KST) starting May 15, 2017. Plot: Bok Dan-Ji (Kang Sung-Yeon) supports her family by driving a bus for a private institute. She meets a man from a wealthy background and he falls in love with her.